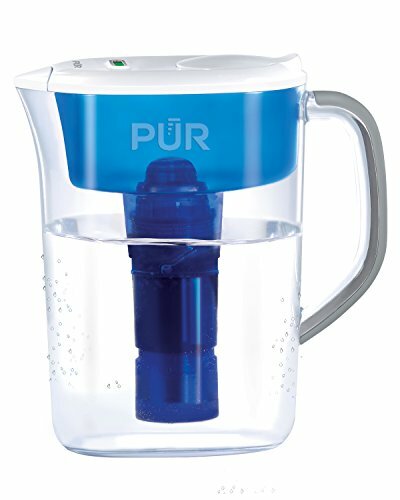 The Unique, Premium Carbon Water Filter From Pur Removes 96% Of Mercury And 95% Of Industrial Pollutants. It Also Reduces Chlorine (Taste And Odor) And 96% Of Trace Levels Of Pharmaceuticals, Giving You Clean, Great-Tasting Water. Yet It Still Leaves Behind Beneficial Fluoride. The Built In Electronic Cleansensor Monitor Indicates When You Need To Change The Filter. Maxion Filter Technology Is Purs Unique Formulation Approach For Blending Carbon And Ion Exchange Materials For Maximum Contaminant Reduction. Clean Drinking Water Is The Foundation For Good Health.